Below is the text of the speech made by Ken Clarke, the Conservative MP for Rushcliffe, in the House of Commons on 13 December 2017. I rise to support new clause 3 and amendment 7. As mine is the second name attached to amendment 7, which was tabled by ​my right hon. and learned Friend the Member for Beaconsfield (Mr Grieve), who is mainly responsible for it, I also incline to the view that it is slightly the better drafted, but I will support either proposal if one or both are put to the vote. I might well succeed in being reasonably brief, because I agreed with every word of the speech made by the right hon. Member for Normanton, Pontefract and Castleford (Yvette Cooper) and I will not repeat what she said. A welcome note of cross-party consensus exists across a large part of the House, and it represents the cross-party consensus that is in favour of what is lazily called a soft Brexit and of having the best possible close relationship with the European Union after we leave. The main issue in this debate seems to turn on what we mean by a “meaningful vote”, which relates to our discussion on the role of parliamentary sovereignty in a situation of this kind. I accept that today the Prime Minister—not for the first time—promised us a meaningful vote, but she later went on to qualify that slightly by talking about the need for statutory instruments to be brought forward during the period of the Bill, within the extraordinary powers that the Bill gives Ministers to enact, by regulation, even changes to British statute law. We have to be clear what a meaningful vote is, and the key is the timing. It is quite obvious that if the British Government are to be responsible to the British Parliament, the vote must take place before the Government have committed themselves to the terms of the treaty-like agreement that is entered into with the other member states. Any other vote will not be meaningful. I will give way in just a second, but let me finish this point. That means that a meaningful vote cannot take place until a detailed agreement has been arrived at about certainly the precise nature of our trading and economic relationships with the single market of the European Union, and actually quite a lot else besides, because we still have to embark on the security discussions, the policing discussions and the discussions about which agencies we are going to remain in and which agency rules we are going to comply with. This is, we all agree, a huge and complex agreement, and it is going to determine this country’s relationships with the rest of the continent of Europe and the wider world for generations to come. Can that happen before March 2019? We face the genuine difficulty that it is quite obvious that we will not be remotely near to reaching that agreement by March 2019, and we have to think through what that actually means. The negotiators have been very optimistic in saying that they will have first a transition deal and then a deal by 2019. I am sure that they will try, but they have not a chance. I think that what they are actually saying—certainly the continental negotiators—is that they might be able to have some heads of agreement on the eventual destination by March 2019, which we can all carefully consider. They will ​certainly have to agree a transition deal of at least two years within which the rest of the process will have to be completed. I agree with the right hon. Member for Normanton, Pontefract and Castleford that everybody wants things to be speedy, because one of things that this country is suffering from most at the moment is the appalling uncertainty caused by the fact that we have taken a ridiculous length of time to reach three obvious conclusions on the three preliminary points that had to be determined as the basis of our withdrawal. At the moment, however, we do not quite know what the British Government are going to be seeking as their end goal in the negotiations that are about to start, because the British Government, within the Cabinet, have not yet been able to agree exactly what they are seeking. If I may say this to my desperately paranoid Eurosceptic friends, it is not as if I am somehow trying in some surreptitious remainer way to put a spoke in the wheels of the fast progress of the United Kingdom towards our destination. The Government do not know what leave means. Nobody discussed what leave meant when we were having the referendum. 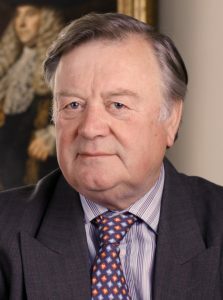 Our overriding duty is not just to our political allegiances and so on; it is to provide this country with a good, responsible Government who face up to the problems of the real world and, accountable to Parliament, can produce the best new order that they can for the benefit of future generations. The right hon. and learned Gentleman is demonstrating why he is Father of the House, so I hesitate to interrupt him, but on his point about having a meaningful vote prior to the Prime Minister of the day making the deal, does he agree, with his wealth of experience, that if we are to keep the country together, it is important that that Prime Minister has in the back of her head when trying to pull off that agreement, “I have to get this through my Parliament”? The Father of the House is absolutely right that the Bill essentially gives the Government a blank cheque. On timing, the only commitment I can see in today’s written ministerial statement from the Secretary of State for Exiting the European Union about what will happen before we leave the EU is that the proposed withdrawal agreement and implementation ​Bill will be introduced before we leave. That is clearly unacceptable. Any piece of legislation seeking to do what that Bill has in mind must be passed before we leave the European Union, even if that means extending the process to maintain parliamentary sovereignty. Of course the original plan was not to have a Bill, but to rely on statutory instruments under clause 9 to effect changes of constitutional significance. It was then made clear recently—I think on 17 November—that we will in fact have a Bill. Does my right hon. and learned Friend agree that to try to make such changes by secondary legislation just is not on? It is very unlikely that the courts would say that such constitutionally significant changes could be made under secondary legislation. Again, I agree entirely, and that takes me back to something that has occurred all the way through this process. I am obviously standing here in disagreement with the Government, of whom I am critical in many respects, due to both the policy and how it has been conducted, but I have had some sympathy with them since the election, because they are trying to carry through this enormous, controversial and historic measure when they do not have a parliamentary majority, except when they can persuade the Democratic Unionist party to turn up and support them. The process started with the extraordinary suggestion that the royal prerogative would be invoked, that treaty making was not going to involve Parliament at all, and that leaving did not require parliamentary consent. Rather astonishingly, that matter had to be taken to court, and it came to a fairly predictable conclusion. The next idea—I will not repeat what my right hon. and learned Friend the Member for North East Hertfordshire (Sir Oliver Heald) said—was that everything would be done by statutory instruments under broad powers. However, we are slowly getting to what I would have thought is the fundamental minimum that a real parliamentary democracy should be demanding: the country will not be able to enter into a binding treaty commitment until the details have received full parliamentary approval. How we get there is no doubt a matter of some difficulty, but it must be addressed. I will give way in a second. The debates on this Bill have typified this Government’s approach to parliamentary scrutiny. I understand their difficulties when they have no majority and their Members include people like me and those who are trying to interrupt me—we are allegedly on the same side of the House—who fundamentally disagree with each other. I have attended every day of our debates on this Bill. We spent yesterday discussing parliamentary scrutiny, but our proceedings have not been a great advertisement for such scrutiny. The Government’s reaction to each and every proposal is to say how carefully they have listened, how important it is and how they will go away and think about it, but then to explain why the drafting of the Bill will not currently be amended. I am sure that I have done that myself when taking legislation through the House, and it is always a joy to find out that one can get away with it for quite a long time. After a bit, one gets used to the fact that one can get away with it as long as one is suitably polite and flattering to those who are proposing amendments. The actual reasons that have been given for rejecting proposals have been all about administrative convenience—that they are obscure drafting amendments. I congratulate the parliamentary draftsmen on creating arguments of such extraordinary minutiae to support the amazing aspirations of civil servants who see a mountain of work before them and hope that most of it can proceed with the minimum of political scrutiny. What we have not heard, and I will have to hear it today, is the political argument against Parliament having a meaningful say. What is the constitutional argument that says Parliament should be denied a statute before the Government enter into all these commitments? I have not so far heard a word expressed to try to explain that to me. That should be the key, dominant thought in the Government’s mind as they negotiate. Of course they will have to think about what will satisfy the Foreign Secretary and the Environment Secretary, and of course they will have to get something for which the Daily Mail, The Daily Telegraph and The Sun will criticise them least, and so on, but I do not think Parliament is an afterthought to those vital considerations; I think it is the parliamentary process that matters. The rest is a problem for some press officer. My right hon. and learned Friend said earlier that other Parliaments across Europe will have a say and we will not, but I posit that that is not true. This is about the withdrawal agreement, which will be agreed under qualified majority voting by the European Council, so it is not true that every Parliament across Europe will get a say on this subject. The agreement will have to go to all the Parliaments. The Parliament of Wallonia will no doubt be allowed to have a say, which, if this Government have their way, this Parliament will not. The Parliament of Wallonia will be allowed to have a say, and I am not sure whether the Scottish and Welsh Parliaments will—that remains to be seen. European Governments will all have to take a view and defend that view to their own Parliament in each and every case. On a point of order, Dame Rosie. I seek your guidance on whether this is misleading the Committee. It is simply untrue to say that each Parliament will have a vote. It is disorderly to say that an hon. Member is misleading the Committee. I suggest that the hon. Member for Yeovil (Mr Fysh) settles down and allows the Father of the House to continue. Qualified majority voting means that each Government cast a vote and, if we get a qualified majority, that is the effective decision. Each Minister who takes part in that vote is, of course, accountable to their own Parliament, to which they go home and defend their vote. If it is on a difficult, controversial subject, any sensible Minister—all those Ministers—will take the view of their Parliament before going to cast their vote on behalf of their country. It is utterly ludicrous to say that this Parliament should be denied a vote and not allowed a role because qualified majority voting somehow replaces it. My hon. Friend the Member for Yeovil (Mr Fysh) says that what I say is untrue and, with great respect, I would say that his argument is an absurdity. I respect my right hon. and learned Friend’s consistency on this issue. He is on public record as having once said that he looks forward to the day when the Westminster Parliament will be nothing more than a council chamber of the European Parliament. When my right hon. and learned Friend says that leavers did not know what they were voting for, he risks sounding very condescending, because we knew exactly what we were voting for: to reclaim our laws and to reclaim our finances. Although one accepts his point that one cannot predict the future in any detail, that is as much true for the EU as it is for this country. My hon. Friend is not the sort who usually repeats the more scurrilous right-wing rubbish that fanatical Eurosceptics come up with about what I have and have not said in the past. I am not, and never have been, a federalist. I would not pursue a united states of Europe. It is social media stuff to start throwing in that kind of thing when we are in the middle of a serious parliamentary debate. When the public were invited to vote in a referendum, they were invited to take back control, which was not defined. It was mainly about the borders and about the 70 million Turks and all the rest of it. They were told in the campaign that our trade with the European Union would not be affected in any way. Indeed, that is still ​being held out as a prospect by the Brexit Secretary and others, who seem to believe that they will get unfettered trade without any of the obligations. The discussions we have had in Committee on previous days about the details of what “single market” and “customs union” mean, and so on, would have been a mystery to anybody whose knowledge of the subject is confined to the arguments reported in the national media on both sides. Those arguments are largely rubbish, and it is now for this House to turn to the real world and decide in detail what we will do. My right hon. and learned Friend and, I believe, my right hon. and learned Friend the Member for Beaconsfield (Mr Grieve), both concede that amendment 7, at this crucial moment, is defective and would not work for a variety of reasons. I have indulged what my right hon. and learned Friend the Member for Rushcliffe (Mr Clarke) has said about scrutiny and responsibility and the rest, but does he agree that it is not appropriate to press such an amendment to a vote when, in fact, it would make a nonsense of itself? It would be a meaningless vote about a meaningful vote. I was about to end with a little reminiscing. I do not normally do that, because it is the last thing a veteran should do, but I keep being reminded of the European Communities Act 1972, the mirror image of which we are now producing. I hope the Committee will forgive me for looking back a little to think about what the reaction of that House of Commons, a much more powerful House of Commons than the present one, would have been if the Government of the day had come along with the kind of propositions we keep facing about the role of Parliament. The reaction across the House to being told there was going to be no parliamentary vote and it was all a matter of the royal prerogative would have been unrepeatable, from Enoch Powell to Michael Foot. The key vote at that time was a vote in principle on the agreement that had been reached—it was different then, because we were applying for membership. The first thing was to get parliamentary approval. No one said that it was going to be non-binding or just a resolution, but there was a key resolution that determined whether we could go ahead at all. Some Conservatives voted against it, but a much bigger number of Labour Members voted in favour, giving it a very satisfactory majority. Then the whole process was subjected to debate on a Bill, at much greater length and in much greater detail than anything this House of Commons will ever be allowed, before there was the slightest prospect of the British Government thinking they would be able to ratify the agreement and commit us to European membership. The current situation is a sad contrast with all that in many ways. It comes at a time when there is the utmost confusion about what our policy is, as we seek whatever destination we are eventually going to take when we reach agreement. Either new clause 3 or amendment 7 is the absolute minimum the Committee should be passing at this stage, in order to make it clear that binding commitments that affect future generations, changing our law in substantial ways, can be made only with the proper approval of both Houses of Parliament, following the full procedures that are necessary for statutory law.